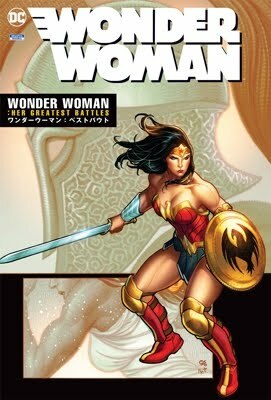 George Pérez (born June 9, 1954) is an American writer and illustrator of comic books, known for his work on various titles, including Avengers, Teen Titans, and Wonder Woman. Pérez won a 1979 Eagle Award (with Jim Shooter, Sal Buscema, and David Wenzel) for Best Continued Story for his work on The Avengers #167, 168, 170-177.In 1980 he won the Eagle Award for Best Comicbook Cover for Avengers #185. He won the Eagle Award for Favourite Artist (penciller) in 1986. Pérez received an Inkpot Award in 1983. In 1985, DC Comics named Pérez as one of the honorees in the company's 50th anniversary publication Fifty Who Made DC Great. His work (with that of Marv Wolfman and Romeo Tanghal), earned The New Teen Titans #50 a nomination for the 1985 Jack Kirby Award for Best Single Issue. His work (with that of Marv Wolfman) earned Crisis on Infinite Earths the 1985 and 1986 Jack Kirby Awards for Best Finite Series. Pérez has won several Comics Buyer's Guide Fan Awards. He won the "Favorite Artist" award in 1983 and 1985 and "Favorite Penciler" in 1987. In addition, he won the "Favorite Cover Artist" award three consecutive years 1985-1987.